Argentina away shirt from Adidas. This is an official Adidas shirt and is brand new with tags in Adidas packaging. 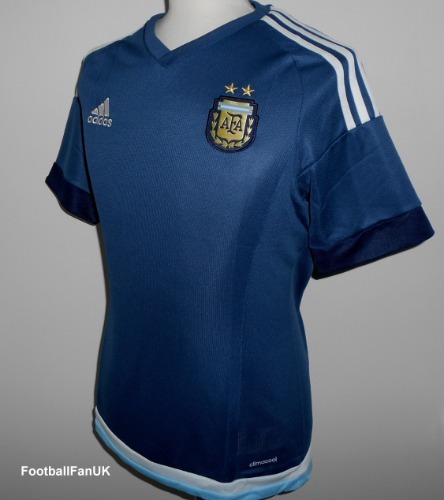 This is the away shirt used by Argentina at the 2015 Copa America when they finished as runners-up to hosts Chile. - Blue with light blue and white trim. - 'Argentina Somos Todos' woven on lower side. - Adidas product code M62629. - Check out our own stock photos of the actual shirt (size S shown in photos).